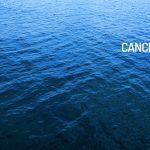 Here is your Cancer Horoscope for September 2018. Every month, you will find at WeMystic the astrological forecasts for your zodiac sign. In September, the retrogrades of Saturn and Pluto ends in the VII House of Cancer (on 05 and 29/09, respectively), allowing to renew the bonds between couples and presenting a new perspective on common themes, such as healthy limits and responsibilities within the relationship. This trend also applies to the dynamics that you maintain with yourself (both for single and people that have a relationship). On the other hand, the entry of Mars into the VIII House of Cancer (10/09) imposes a more active attitude in the process of working on trust as a couple. The warrior planet in the VIII House of Cancer knows how to channel the lessons taught by Saturn and Pluto, and put them into practice. Do not be afraid to defend what you consider important and protect your space from the invasion of third parties. For Cancer singles, the entry of Venus into the V House of the sign (09/09), where Jupiter is located, speaks of romance opportunities with someone to whom there is an intense attraction, but if you want the interaction to be maintained in time, you must commit to the trip and transcend the superficial aspects. Finances will remain stable for the natives of Cancer during September. However, the entry of Mars into the VIII House of the crab refers to the tendency to riskily manage the family patrimony. Mars in the VIII House of Cancer urges you to take business opportunities that may arise. However, it is convenient to be patient, and before making a decision that involves much responsibility, make sure you have the support of many or the majority. Whether it is the right decision or not, you need to maintain the trust of your peers which you have built with great effort over the years. In the workplace, there will be great changes. September will be a good time to submit reports and research papers, as well as allocate time to personal creative projects. The entrance of Venus in the V House of Cancer (09/09), the location where Jupiter is located, is an opportunity to reconnect with what you are passionate about, rediscover your talents and get involved in new initiatives. However, remember that the Chiron retrograde will be in the X House of Cancer, until September 24, and Retrograde Uranus is maintained in the XI House of the sign, so it is not convenient to expose yourself in excess in your professional field. This does not mean that you hide your abilities or try to go unnoticed at all costs. It is simply that when it comes to drawing attention, you do it for the right reasons. Let your work do the talking about you. It is worth noting that in addition to Retrograde Uranus in the XI House of Cancer, this astral position is also found in the asteroid Juno (until 28/09). This indicates that despite the disagreements that may exist with colleagues, the responsibility and the fulfillment of duty will be imposed. For Cancer students, September will be a busy period. The presence of Mercury in the III House of the sign, from 05 to 20 September, marks a tendency to over analyze recent events. When combined with the entrance of retrograde Chiron in the IX House of the crab (25/09), it can lead you to torture yourself with false beliefs, existential doubts and the possible repetition of past events. Remember that you can attract what you focus your attention on. Do not fear what may happen; it is fundamental to open up to new experiences and to avoid judging the present for what happened before. Now, you are someone different. The asteroid Vesta will remain in the VI House of Cancer until September 16, which implies a concern to cultivate self-spirituality and the relationship you maintain with your physical body. At this point, it is about how you take care of yourself. Instead of internalizing the processes, you might prefer to distract yourself from them, focusing on the concerns and problems of third parties. Remember that the first thing on your list of priorities should be you and the attention of your needs. Surrendering to the support of others will end up exhausting your energy. This also applies to the repetition of patterns of behavior. In personal relationships, this topic will be on the air during September, due to the entry of Eros into the XII House (06/16). Eros in the XII House of Cancer fears loneliness but prefers to cling to the known than to explore new options. In the same way, it’s able to devote all its energy to satisfy the partner, forgetting himself. Before falling into repetitions (or even returning with an ex), take advantage of the influence of Vesta in the VI House (and in the VII House from 17/09), and meditate on the changes you’ve brought to your life and how you manage your affections. Keep in mind that your personal development is the best investment you can make in this period of the year. The New Moon in Virgo of 09/09 will affect the III House of Cancer, so short trips to nearby destinations will be well aspected if you use them as a tool to motivate self-knowledge. Another aspect that you should consider in this season is fatigue (physical or emotional). It is important not to minimize this manifestation. Respect your resting hours, practice conscious relaxation exercises, and share your feelings with relatives (do not lock yourself in your armor).